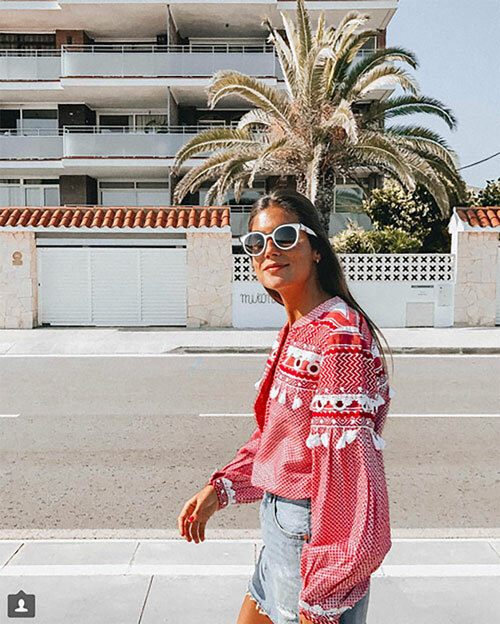 Fireworks, barbecue hopping and parade marching are on my action-packed agenda, so I'm looking to on-the-go blogger Belen Hostalet for some what-to-wear ideas. Her mix of streamlined swimsuits, vibrant short dresses, embellished tops and bold accessories is distinctly cool and poised for (perpetual) action. I love her Euro-sleek swimsuits by Arabella London (above) and In Your Arms (below). Also cool: her beach to street boho dresses and tops, like this red $39 Mango (second image down) and this embellished Dodo Ba Or (on sale, last pic). These similar-spirited styles by Lemlem, Anjuna, Derek Lam 10 Crosby, and Figue (on sale!) are also amazing. 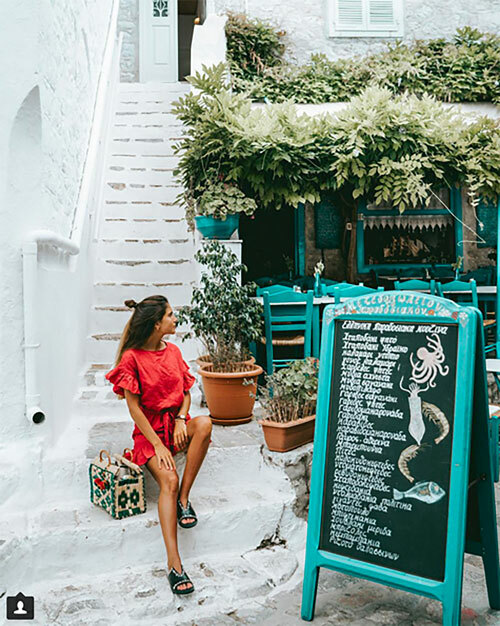 Head-turning bags and sunglasses are Belen's exemplary finishing touches; Her go-to's include these sunglasses by Folli Follie (above) and House of Hererra (below), and ornate basket bags, like this and this. Happy Holiday Weekend!